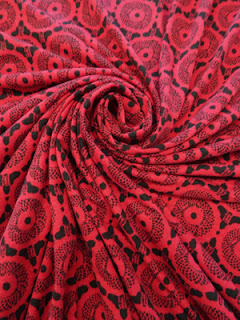 Fabric Mart Fabricistas: Pre-Cut Knit and Blouseweight Wovens Online Now! Have you noticed that we have a large selection of pre-cut, ready to ship, fabric in 2, 3 and 4 yard cuts? They are the perfect grab and go item for your next sewing project. There are so many patterns that can be made from just 2, 3 and 4 yards. Anything from a basic top (with long sleeves) to a maxi dress with long sleeves! We've hand-picked a few of our favorite independent patterns and matched them with some of the pre-cut fabric pieces to help inspire you. 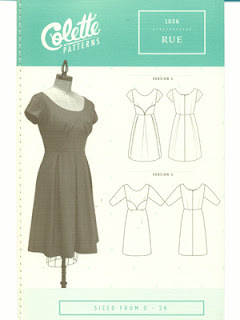 Based off of Pamela's Perfect T-Shirt pattern, this dress is basic,but has so many possibilities! The fit-as-you-go method ensures a great fitting dress when you're all finished. Pamela also gives you tips on more professional looking garments. I chose an African print-inspired ITY knit for this pattern. 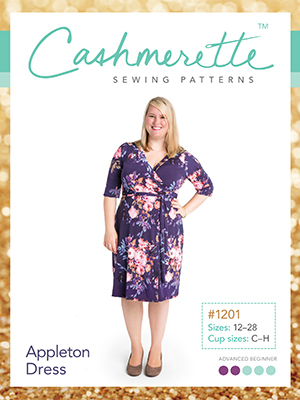 It is available in a 4-yard cut, so you'll have a little extra for another top or make something for a friend! The Appleton Dress is a favorite to many plus size bloggers and for good reason! Wrap dresses are so flattering and if you don't have a waist, it helps create one on you! I really like this tropical floral print ITY Knit. The design will go down your body creating long lines. 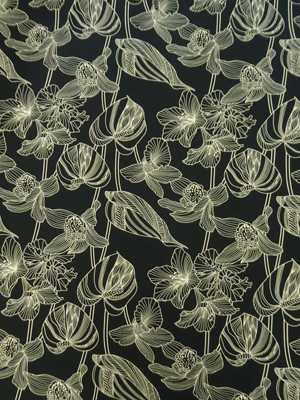 This print is available in a 4-yard piece. Save the rest of the yardage for a sleeveless shell. 3) Pamela's Patterns Versatile Twin Set - Cardigan - up to 1 7/8 yards. I LOVE this print. Doesn't it look like lace? It had me fooled for a minute. 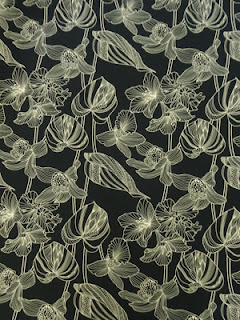 If you love the look of lace but don't like working with it, this print is for you. Find the fabric HERE. Try it with Pamela's Patterns Versatile Twin Set. Pair it with a basic black knit for the tank. This vintage-inspired dress is perfect for all seasons. 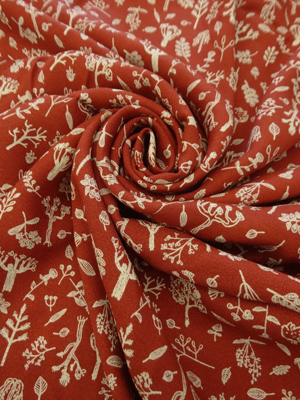 The fabric you choose is what makes it for the season you need it for! We like this Nature Print Rayon Crepe Blouseweight Woven. It has a beautiful drape and will highlight all the details in this dress. Add a touch of retro to your wardrobe with this Rayon/Linen Floral Print. The Moss Skirt is an awesome skirt pattern. We love the jeans details -- the fly front, back yoke and pockets. It's a quick afternoon sewing project too! What else can you do with these fabulous pre-cut pieces? - Make infinity scarves for all your friends! (One scarf takes just 1/2 yard.) See our Infinity Scarf tutorial here. 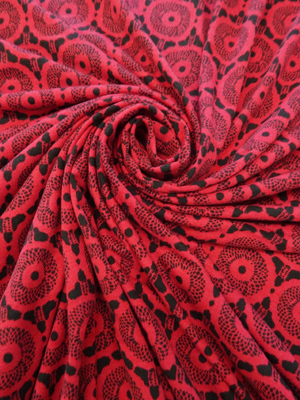 - Have some fabric left from your garment project? 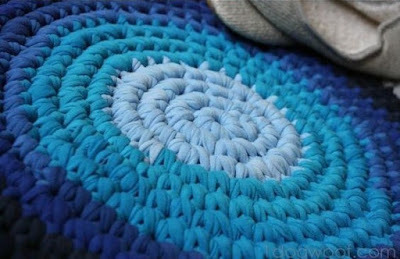 Save it for a rag rug! I'm sure you have plenty of other knit scraps to add into the mix. We found this tutorial from One Dog Wolf. 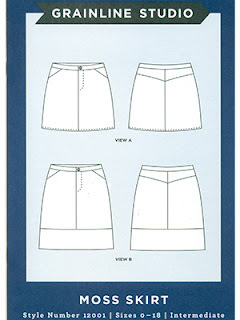 You can find all of the of pre-cut fabric pieces HERE. 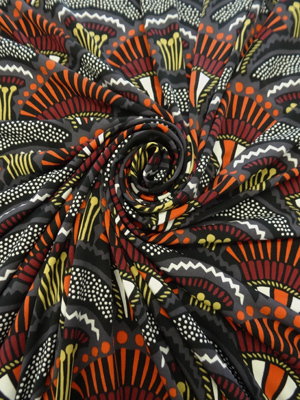 You don't want to miss out on these great quality fabrics. You will find modern and trendy prints, vibrant solids and in knits and blouseweight wovens. If a flowy printed top is on the top of your sewing list, check out our selection. Now that we've given you some ideas, what would you make with these pre-cut fabric pieces? Share your ideas! 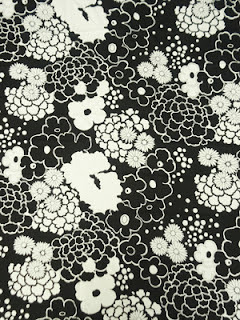 I've purchased a couple of these pre-cuts and used one to make a new Vogue 8772 blouse. I highly recommend them - they are quality fabrics for an inexpensive price. So go ahead and purchase a few! The Colette Rue has corrections; please be sure to check https://help.colettemedia.com/errata before attempting to make.